Not sure who thought of the idea of leaving a large open crock in the basement of a structure, running footer tile into it and then installing a pump into the crock to pump water out of the structure. That said, these pumps can be found in the majority of basements and are known to fail. Either the pump itself burns out from overuse or age, the power goes out, or too much water gains entry and the pump cannot keep up. This can especially be bad if the affected area is finished or has a lot of personal property stored in the affected areas. SERVPRO of Barberton/Norton is here to assist with mitigation, reconstruction and contents services to make it “Like it never even happened." SERVPRO of Barberton/Norton has been in the restoration business since April 1, 1998. Our crews are IICRC certified. IICRC stands for The Institute of Inspection, Cleaning and Restoration Certification. Our highly trained crews make sure the mitigation process runs properly and smoothly. Our Project Managers are on site daily and communicate with our customers keeping them updated every step of the way. After the mitigation process is completed, our Construction Division steps in to do the necessary repairs to your home or business. Our Construction Manager, Harold Rozak, has been in the construction business for decades. His expertise along with our highly trained tradesmen will make it “Like it never even happened." With the ability to perform both the mitigation and reconstruction, we are truly a one stop shop, and are "Here to help". 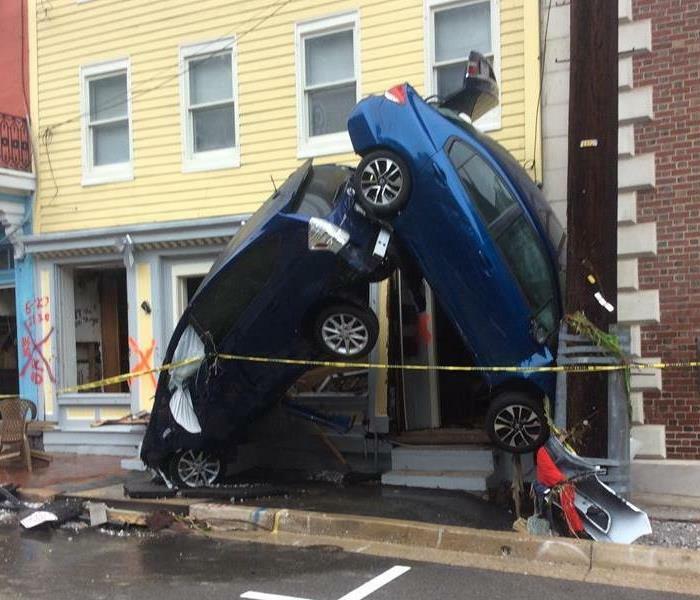 Ellicott City, MD sustained a 1000 year flood just two years after the last 1000 year flood. The power of rushing water is not to be reckoned with. Wide spread damage occurred over and around the Patapsco Valley and Jones Falls Valley communities. Any vehicles parked on the streets were pushed around and about by the rushing water like Hot Wheels toy cars. The streets became rivers and rapids of rushing water. The devastation was vast. The area sustained 8 inches of rain in 2 hours was more than any info structure can handle. Our Storm Team crews had to be creative just to get to the areas to help. SERVPRO of Barberton/Norton is “Here to help” no matter the cause or size of loss, which is sometimes unbelievable. Water is the most common cause of damage we handle at SERVPRO of Barberton/Norton. The most popular offender has been found to be the the water supply lines to a refrigerator. Even the smallest pin hole can cause a lot of damage to your home or business. These leaks usually go unnoticed until the water damage makes it out from under the refrigerator. Once discovered the water may have had time to ruin not only the flooring but may have had time to cause damage to the kitchen cabinets and walls. It is not uncommon for the water to find its way into adjoining rooms or the floor below. In cases of multifamily or commercial space the water may travel the path of least resistance affecting other units. SERVPRO of Barberton/Norton has been very busy with this Winter’s Polar Vortex. The extreme cold has caused pipes to freeze and break all over our service area. These pipes do not care if you are home with the heat on or enjoying the sunny south as a Snowbird. The frozen pipe expands and splits which then allows the water to escape under pressure. If not found right away the water damage can add up into tens of thousands of dollars. After discovery, turn off the water and call SERVPRO of Barberton/Norton. 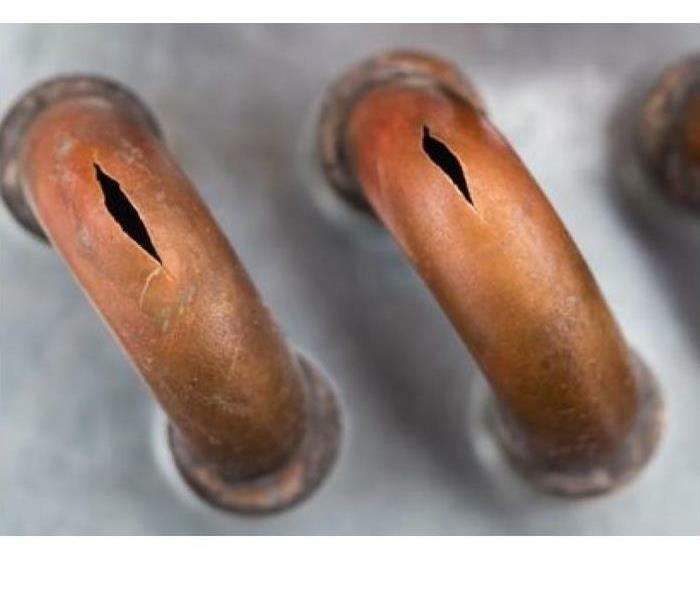 If a plumber has been there, have them save the pipe as this type of break differs from a pipe that leaked from wear and/or age. Most insurance companies cover the damage from a frozen pipe, including the plumbing as long as the home or business was occupied and there is documentation that the heat was on. SERVPRO of Barberton/Norton is a call away to assist you with any sort of water damage you may incur. The four seasons in Ohio can provide both beauty and extreme ugliness. There is nothing like the beauty of freshly fallen snow on a sunny winter’s day, or the ugliness of a severe storm. When the ground finally thaws and the torrential rains of spring fall, water can find its way into the lowest level of your home or business. The worst type of this damage is water that seeps thru the foundation of the structure. This damage usually gains entry through the seams where the walls meet the floor or through the mortar seems within the walls. 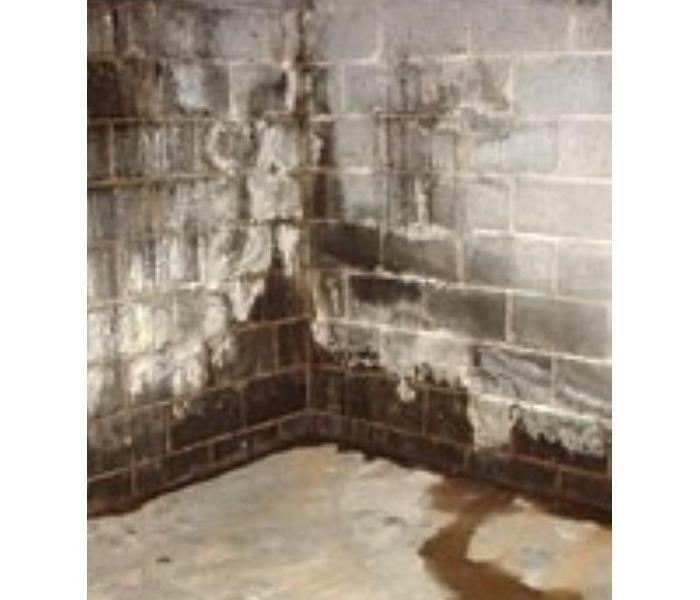 This type of water loss is usually not covered by insurance. he repairs are costly and can include excavation, new roof drainage systems or worse. 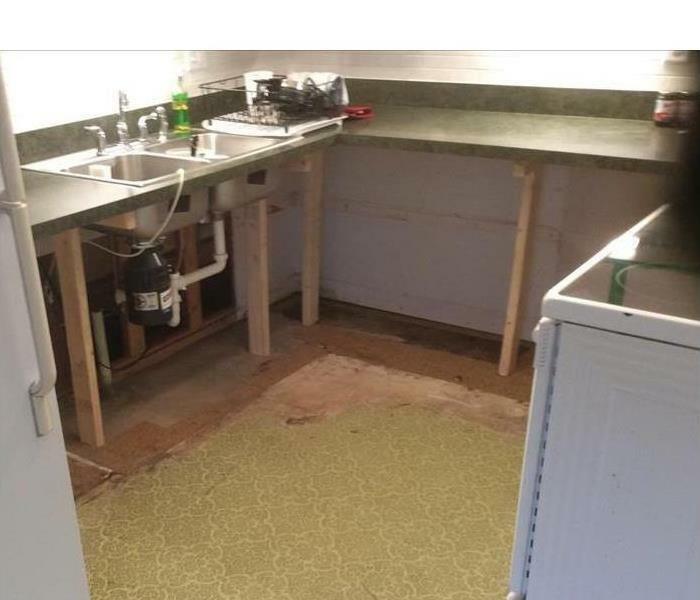 SERVPRO of Barberton/Norton has the ability to assist with correcting the issue along with mitigation and reconstruction of the water damaged areas. Ellicott City, Maryland sustained major flooding again in 2018, this after a thousand year flood in 2016. Mother Nature has not been kind to this historic area to say the least. 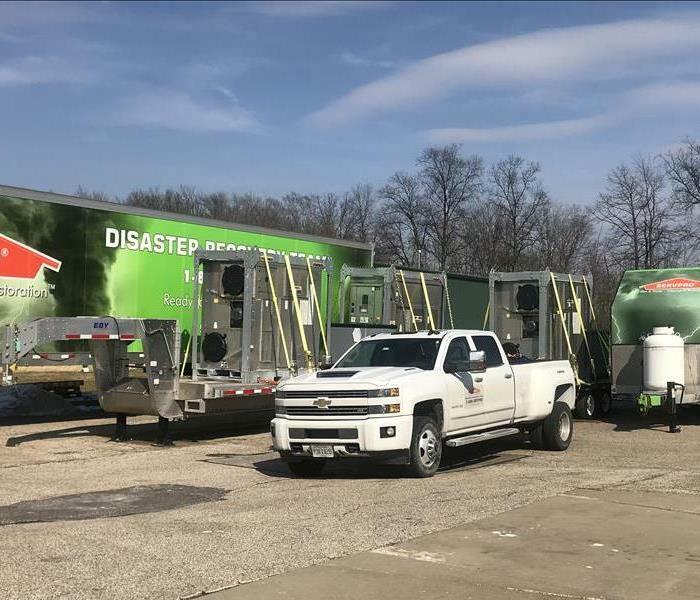 SERVPRO of Barberton/Norton loaded its fleet with equipment and Storm Team Crew Members and headed east to assist those affected in Maryland. Once close to the devastation, roads were washed out and getting there was a feat in and of itself. Upon arriving the magnitude of the damage was unbelievable to say the least. The area received over 8 inches of rain in the span of 2 hours. 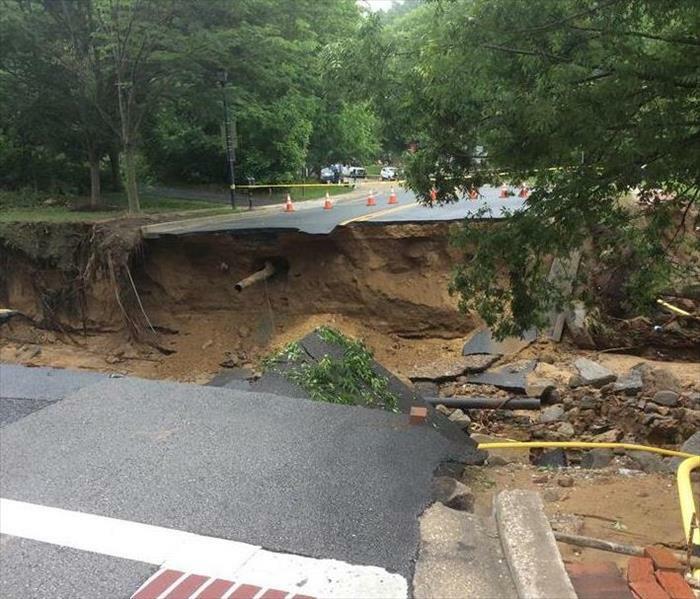 Not only was Ellicott City flooded, many of the adjacent communities within the Patapsco Valley and Jones Falls Valley were impacted as well. Our Storm Team is the best and is always "Ready for whatever happens." SERVPRO of Barberton/Norton is following through on a commitment to maintain our green theme for 2019. Soon Spring will be upon us, the grass will be green, our trucks, trailers and equipment are already green, and we all wear green. Our Green Field Teams are using environmentally friendly “green” chemicals whenever possible. Carpet & Upholstery Green Clean (chemical #251) is pH Neutral, biodegradable, and contains zero phosphates, solvents, dyes, or fragrances. All Surface Green Clean (product #250) is pH neutral, contains no dyes or fragrances, and is non-toxic / phosphate free. All Surface Green Clean is volatile organic compound compliant and rapidly biodegradable. Window Green Clean (Product #249) is environmentally friendly, volatile organic compound compliant, rapidly biodegradable, and is premixed with soft water to eliminate spotting and streaking. 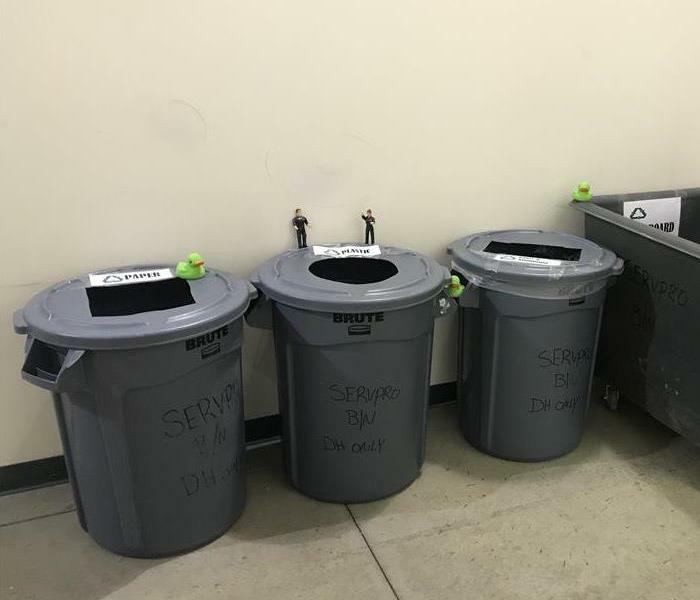 SERVPRO of Barberton/Norton started a recycling project. We are recycling paper, cardboard, plastic bottles and bags. We also use shredded paper as packing material and reuse as many boxes as possible. We are “Here to help” not only our customers but the environment too! SERVPRO of Barberton/Norton is here and always "Ready for whatever happens"! We are fully equipped to handle any size commercial loss from a small residential water loss to a large commercial fire loss. We are equipped with 36 motor vehicles, vans, box trucks, suvs, pick ups, trailers of all sizes including 2 semis that allow us to get to the loss in a timely manner. We have over 1000 air movers, 100 dehumidifiers, infrared cameras, 4 large desiccants, extractors, carpet and upholstery machines and any small tool imaginable. Along with SERVPRO's National Accounts, we have established many relationships with commercial accounts that count on us to be there. After the mitigation services have been completed our construction division handles the reconstruction making it "Like it never even happened." SERVPRPO of Barberton/Norton knows the value of keeping your business up and running in the event of any type of loss. If at all possible, are able to creatively keep your business open, all the time while adhering to IICRC standards. IICRC is the Institute of Inspection Cleaning and Restoration Certification which established global standards for the restoration industry. Time is money in the commercial world, when a loss occurs, no matter the size, it can cause the temporary closure of your business which results in possible business income loss. Although there may be business income insurance coverage available, no one wants to have their business loose money. That is why we are "Here to Help" to make it "Like it never even happened." in any size commercial loss. 3/19/2019 - Refrigerator Line Leaking?